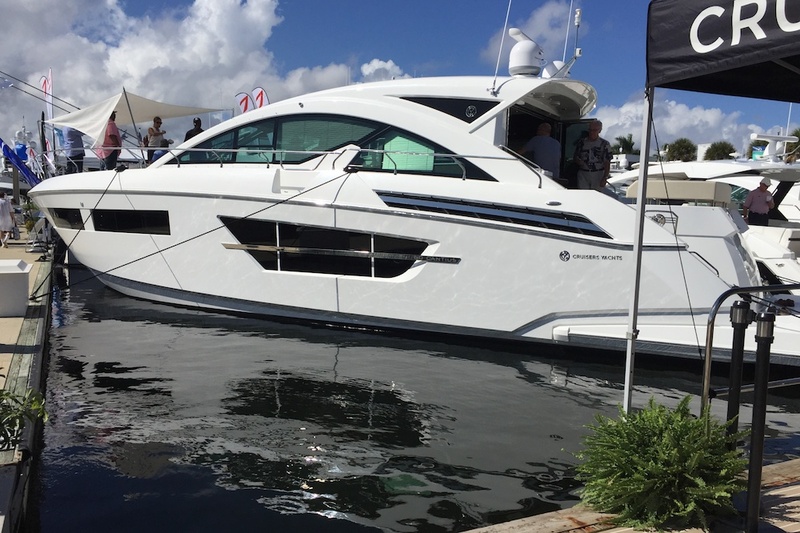 Cruisers launched its flagship 60 Cantius this fall, the biggest yet in its range of trend-setting designs that “bring the outdoors in.” The 60 has twin, complementary personalities. By day, it can accommodate a dozen or more friends in bow-to-stern social areas, including a strikingly styled main salon topped by a huge sliding sunroof. By night, its two spacious staterooms stamp this model as a deluxe weekender for two couples—and perhaps two children in a smaller, optional cabin. 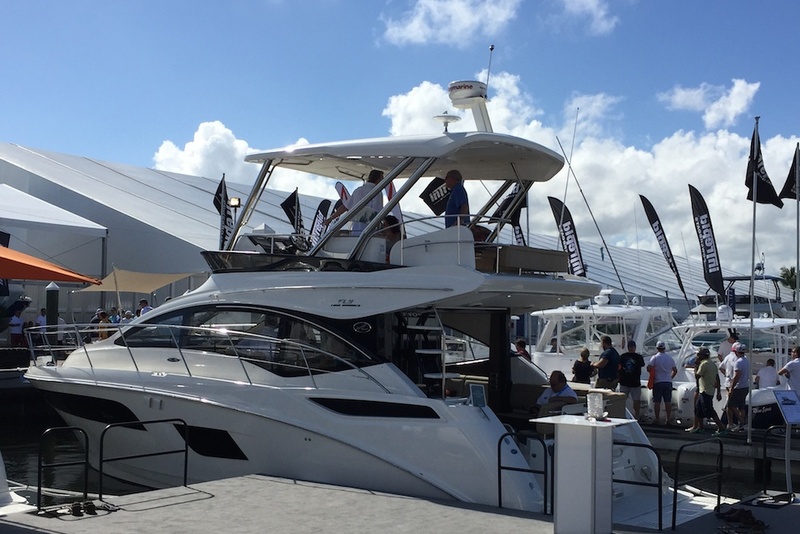 Anytime Sea Ray premieres a new Sundancer or Fly, we’ll take note, but when they roll out a pair of them at the pivotal 40-foot mark, well, it’s an extraordinary year.The 400 Sundancer and 400 Fly feature dramatic lighting, they bring people closer to the water, each has a full-beam stateroom amidships with a second stateroom forward, and their floor-plans feature interconnected social zones. 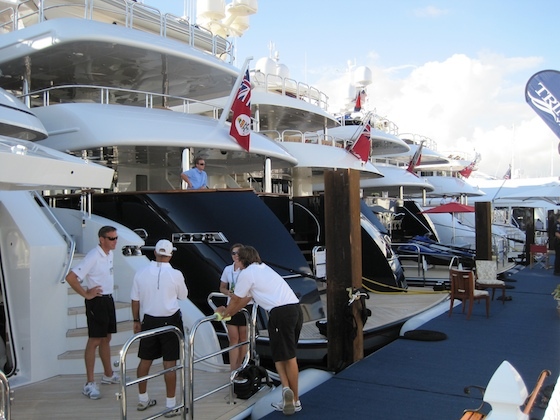 Propulsion options range from gasoline stern drives featuring Axius, to gas or diesel stern or V-drives. 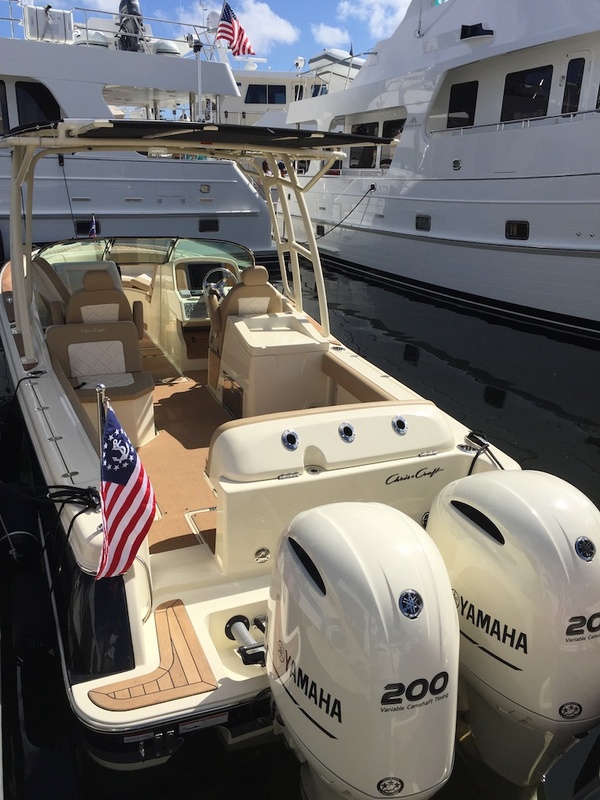 Chris-Craft showed us the first in its dual-console range, a 26-footer called the Calypso that's based on the popular Catalina center console model. Flashing its trademark Chris-Craft styling and trim around the gunwhales, the 26 Dual Console is not only a beautiful little boat, it’s also a versatile design that can tow and store wakeboards, carry bait in its livewell, or handle a grill night for a crowd of friends. Showing off stylish yet practical lines, the 305 from premium Swedish builder Nimbus appeared for the first time in the U.S., along with Nimbus best seller, the 365. 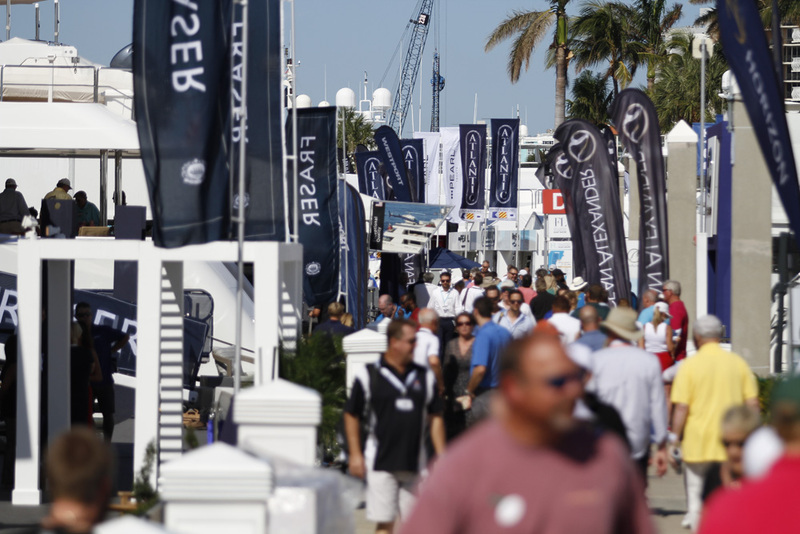 We had seen the 305’s world premiere at the Dusseldorf, Germany, boat show in early in 2015, but for most in Fort Lauderdale, its uniquely positioned cabinhouse was a first. The house is offset to port, which maximizes interior space while still offering a useful walkway to the bow along the starboard side. Powered by a 220 hp Volvo Penta D3, the boat is designed to cruise at 12 to 18 knots, burning a steady 1.6 liters per nautical mile. Its max speed is 22 knots. 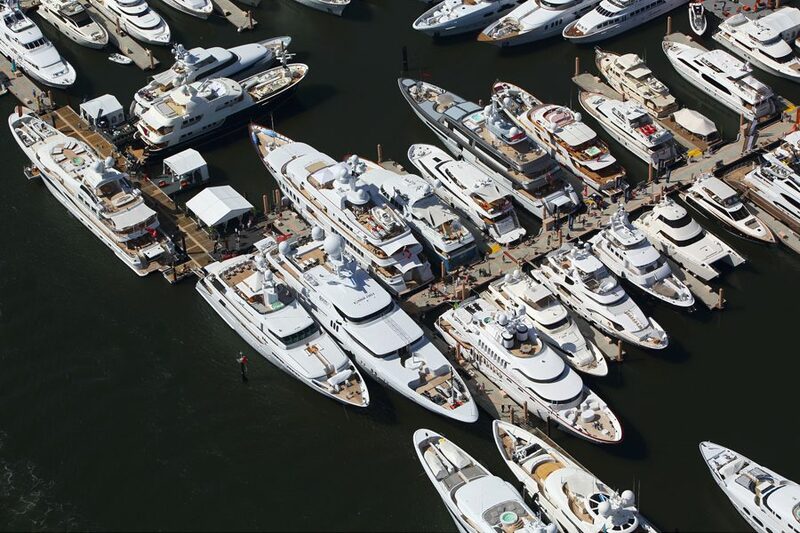 Nimbus has teamed up with one of the Northeast’s biggest boat dealers, Brewer Yacht Yards, as it takes its first steps into the market. 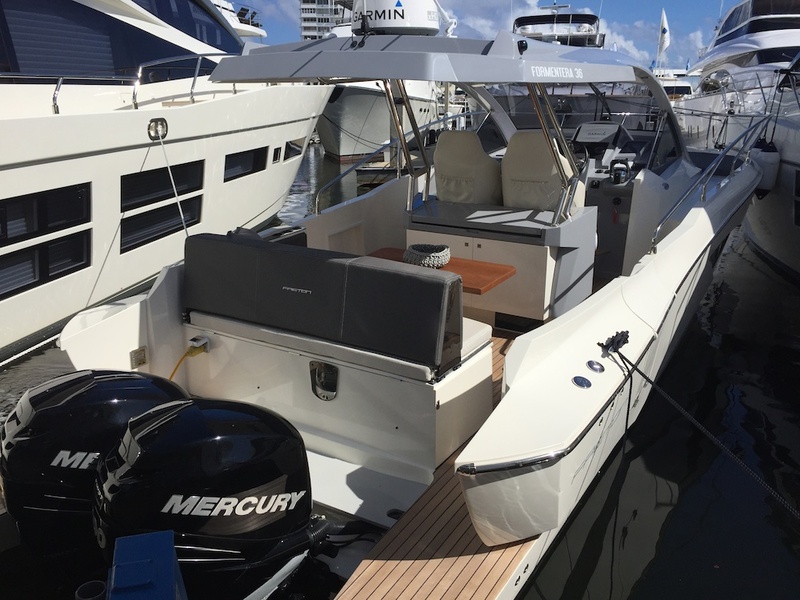 Speaking of style, we enjoyed the fresh look of the Formentera 36, a center-console type design from the Spanish builder, Faeton. Notable details include extended aft decks and a starboard boarding gate in the topsides of the hull. 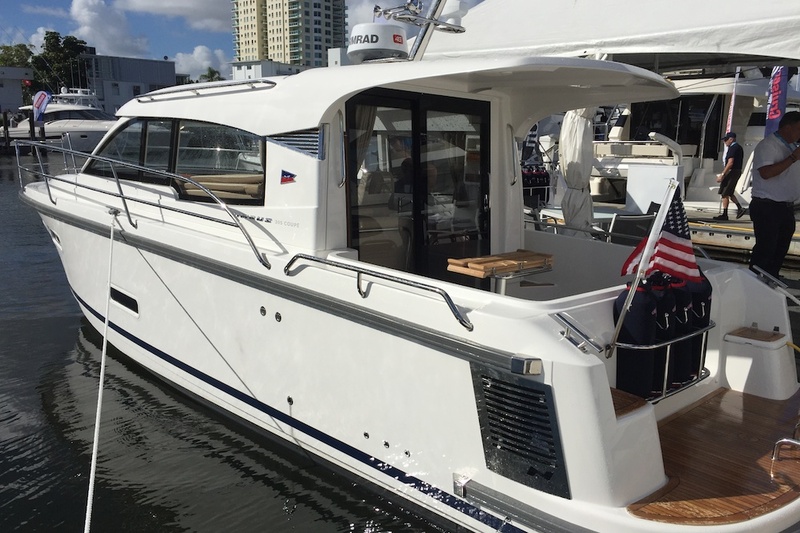 Forward, this model does something no center console normally does; the entire deck rises in more of an express style, which allows for a much larger cabin featuring forward and mid-deck berths and a stand-up head compartment. 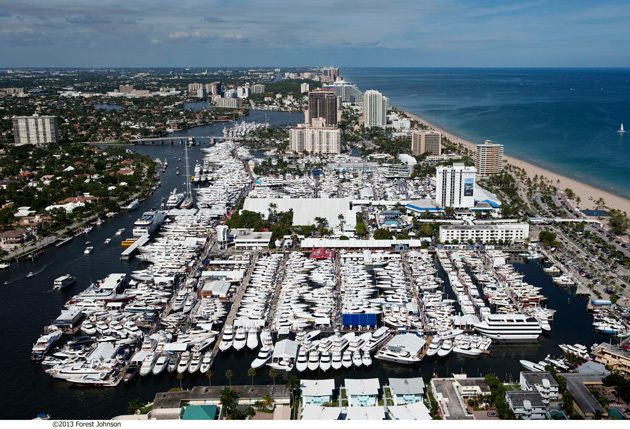 The classic American trawler brand, Mainship, has been relaunched and rebranded as Marlow Mainship, and two distinctive models were displayed at Ft. Lauderdale, the 31E and the brand new 34. These simple little cruising boats for a couple are smart, traditional, and notably upgraded in quality since the rebranding. 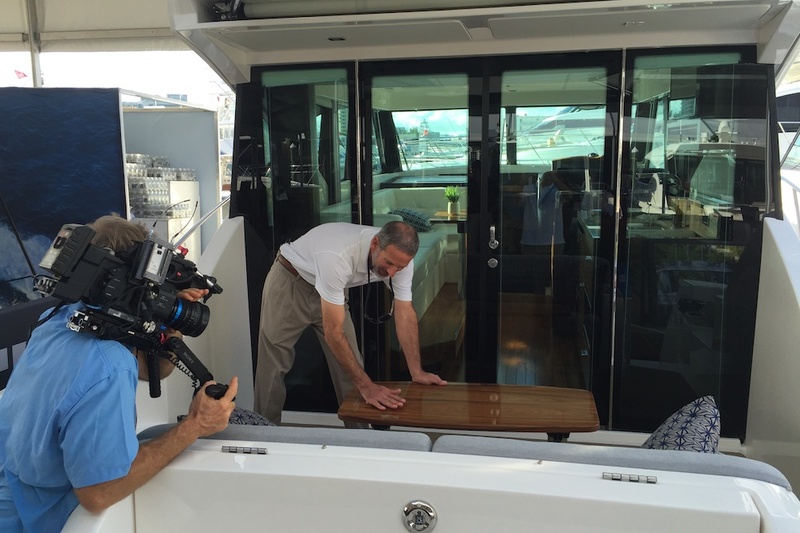 After only one week in the water, the newest and smallest of Tiara’s coupe line arrived in Ft. Lauderdale, the 39 Coupe, and the boats.com review team immediately filmed a First Look video, soon to be released. 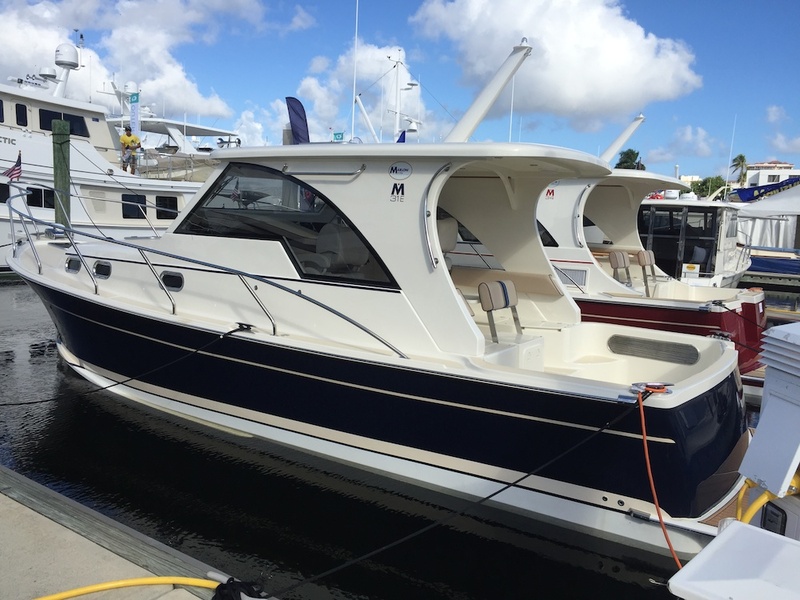 The distinctive exterior styling and richly appointed, well-lit interior of this express cruiser match that of its sisters, the 44 and 50. 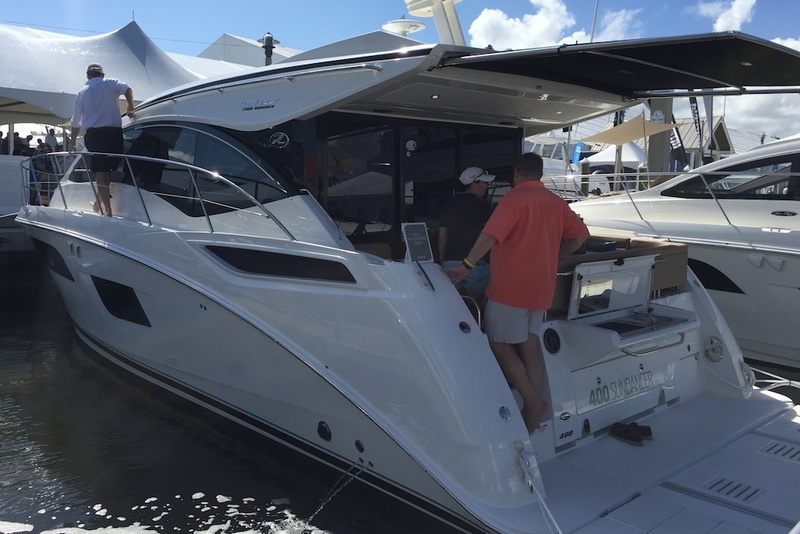 For the captain, the 39 also has Volvo Penta IPS pod drives and joystick, fingertip control in common with the larger models. 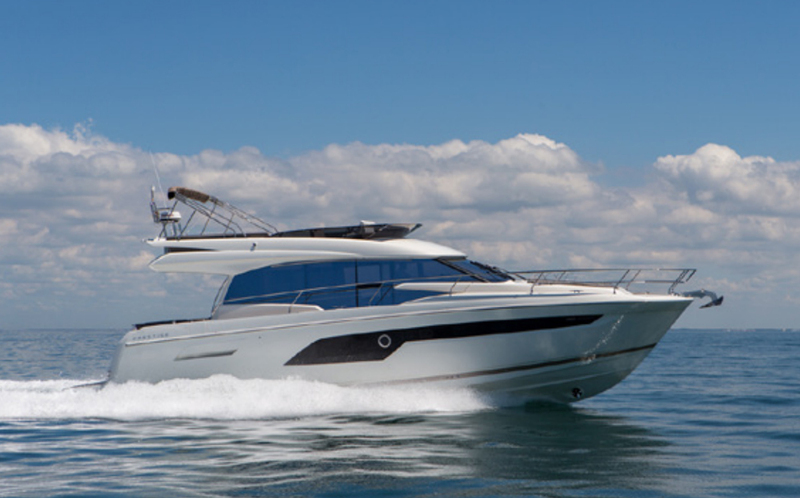 One week in the water, the Tiara 39 Coupe comes under the lens of the boats.com video review team. 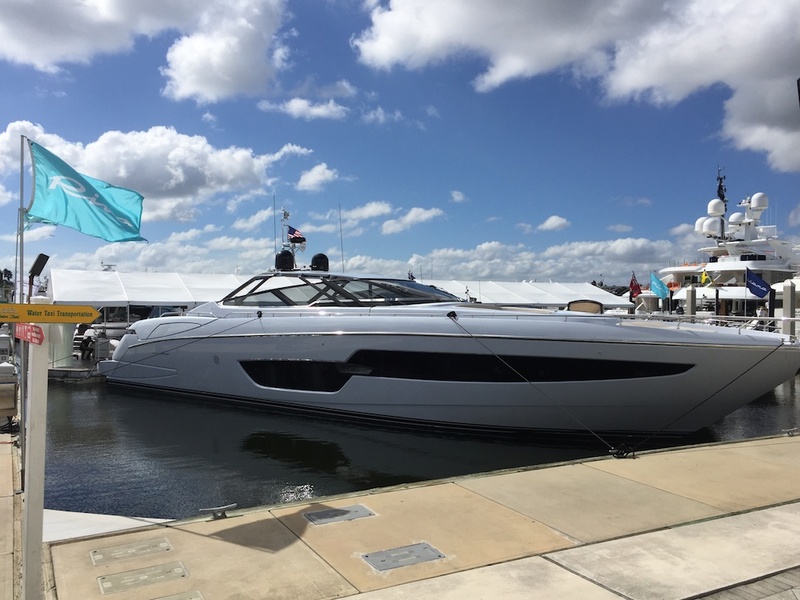 The Riva 88 Florida debuted at Cannes in September and made it to its namesake state less than two months later. 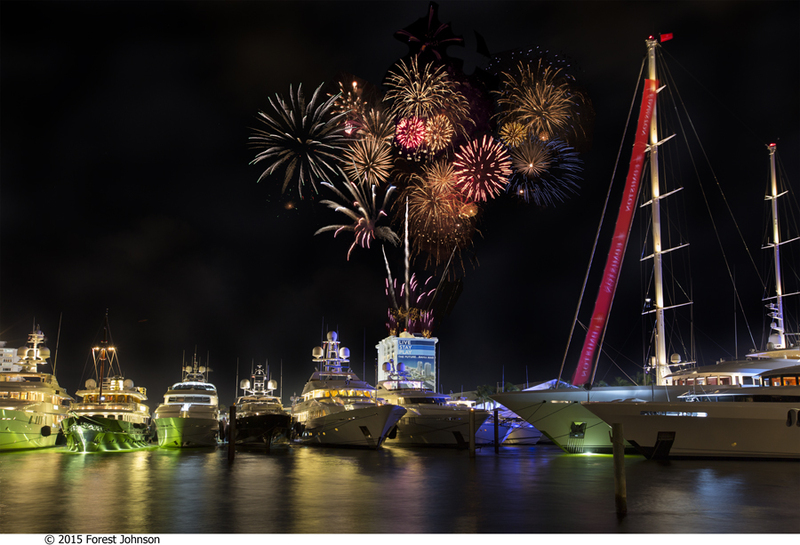 This model is, in our opinion, a tour de force—at once an open 88-foot superyacht and also, presto-change-o, a hard-top "convertible" superyacht. You have to watch its unusual swinging carbon fiber lid in action to see how this works. (See the First Look Video we filmed in Cannes.) 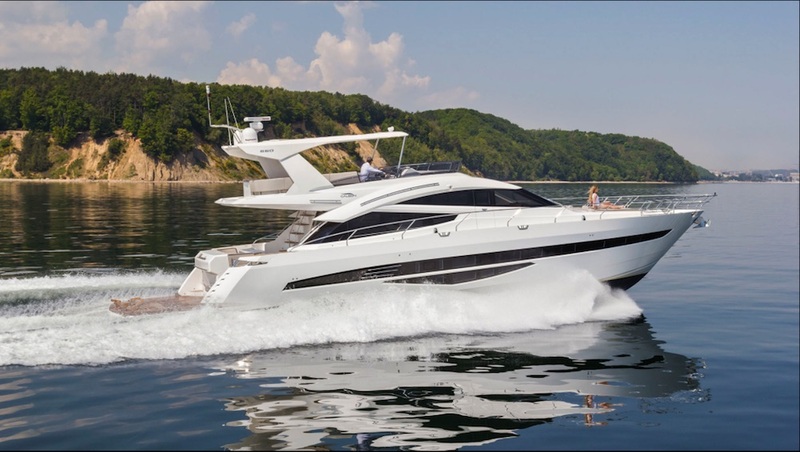 The 88 is one of three new Riva models splashed this year by the parent, Ferretti Group, which has begun a three-year drive to replace two-thirds of its fleet of Riva, Ferretti, Pershing, and other brand models.